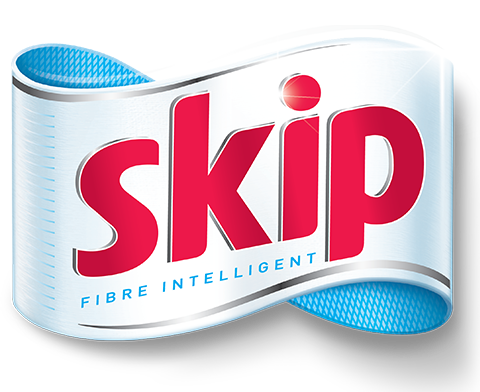 Skip is a premium laundry detergent known for their love of fabrics and taking care of your clothes with the latest technology. Skip’s latest campaign ‘I Love What You’re Wearing’ is focused on showing how Skip loves over 100 fabrics and how Skip can keep them all clean and in brilliant condition. As part of this campaign Skip are looking for photographers to bring to life the fabrics of the world. Skip are inviting photographers globally to submit colourful photography bringing to life any type of fabric (silk, cotton, denim, flannel, etc.) which truly captures ‘Feel The Love’. The photographs should feature a person wearing the fabric in front of a contrasting backdrop (see submission guidelines below). One Selected Photographer will receive exposure across Skip’s social media channels and may potentially have their photo used as part of an out of home campaign, as well as £2,000. Five Highly Commended photos may also receive exposure across Skip’s channels and £1,000 per photo. Your photograph must include a person wearing visually interesting clothing against a contrasting background. More info below. The Person: The person should have their back to the camera, with their arms 'hugging' themselves. The person may tilt their head slightly towards the camera to show a bit of jawline however do ensure they are not recognisable. Models may be any gender or age (as long as they are above 25 years of age). A wide range of personalities and nationalities are encouraged. The person should be centred in the picture. Please allow plenty of spacing around the person to allow for a range of crops (landscape as well as portrait). The Background: The photograph should be shot in front of an interesting background and contrast with the clothing the person is wearing. The background could for example be urban, geometric, colourful, etc. If depicting nature as a background this should be set in an urban setting. IMPORTANT UPDATE: Skip has provided more background images to inspire your submissions. It does not have to be in front of a wall only. See these examples of other interesting types of backgrounds that they would like to see. The fabric/clothes: The clothes should be in good condition and show a spread of different types of fabric and colours (for example, denim, cotton, wool/knitwear, all black, all white, colour blocking, sportswear, etc). There’s over 100 different fabrics out there in the world, please be creative and bring to life a range of fabrics - up to 10 submissions are permitted per person. Please no shots of only leather, only fur, no underwear or any extremely delicate / eccentric catwalk clothes. No brand logos must be shown or any clothes that is recognisable to a specific brand. All photos must be taken in natural light so no night time or studio shots please. Please ensure you have a model release form for the person portrayed in your photo, otherwise your photo won’t qualify. This will need to be provided if your photo is selected. Selected Artists will need to be able to supply their photo minimum of 60MB - RAW format, 5000 px @ 300ppi - UPDATE FROM SKIP: Please make sure to save the files as high res as possible, but submitting 3000 x 4000 px, min. 30 MB will be accepted! IMPORTANT NOTE: *The images in this brief are used to give an indication of what the work may look like. However, most of these have had a background dropped in for illustration purposes, and should only be used as inspiration, not as an exact depiction of what the client is necessarily looking for. Skip is a leading garment care expert and a premium brand with a premium offering, not only does Skip offer cleaning power, but it also specializes in caring for clothes. First launched in South Africa in the 1960’s when washing machines were first introduced, it has since taken the world by storm. Skip is a laundry detergent that is crafted with passion and attention to detail, like your wardrobe. It’s technologically advanced and intelligently designed to ensure that your wardrobe stays impeccable and that your clothes are always ready. The ‘I Love What You’re Wearing’ campaign showcases Skip’s love for all of the fabrics of the world! All submissions must be original artwork (meaning not using third party pre-existing copyright materials or photos purchased from image libraries). Artists should retain their original photographs in high resolution (60MB) but work must be submitted in JPEG or PNG, max size 10MB. Selected Artists will need to be able to supply their photo minimum of 60MB - RAW format, 5000 px @ 300ppi - UPDATE: Please make sure to save the files as high res as possible, but submitting 3000 x 4000 px, min. 30 MB will be accepted! All submissions must include a person wearing a fabric - please read the 'SUBMISSION GUIDELINES' section carefully to ensure you follow the instructions. The Selected Artist and the Finalists grant Skip and Unilever a full copyright to the submitted work. The Selected Artist and the Finalists will have to sign an Artist Copyright Agreement. In return, the Selected Artist and the Finalists will receive the specified incentives. Artists that are not selected will retain ownership of their work, however Skip and Unilever have marketing rights to promote the work on their social media and online channels in connection with this Creative Invite and the 'I Love What You’re Wearing' campaign for up to 12 months after announcement of the Selected Artists. All artists will be credited accordingly. Artists that are not-selected may be approached by Unilever after 6 months of the announcement of the Selected Artists in regards to buying the full copyright to additional work. The Skip team and Unilever will select from all qualified submissions. A qualified submission is one which meets all the Terms & Conditions, Guidelines and Official Rules.